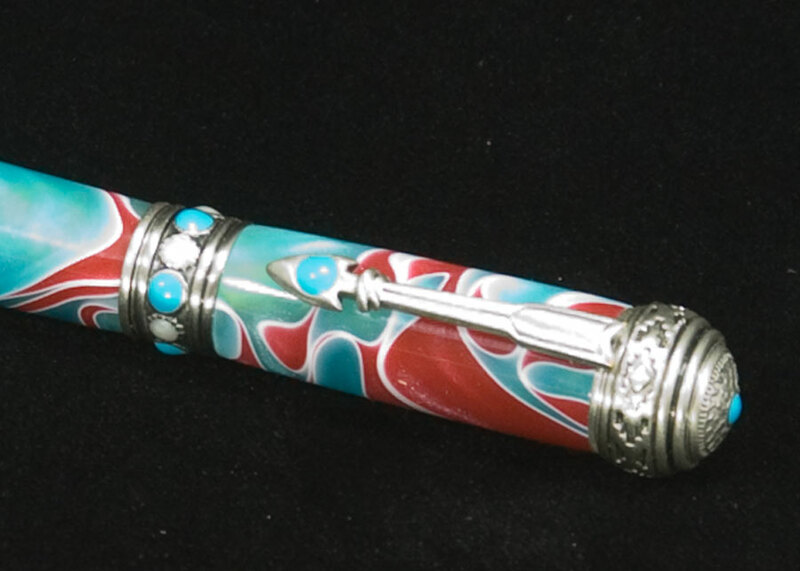 Take a journey through the American Southwest with these intricately designed Southwestern pen. 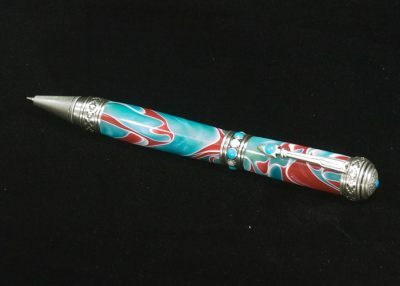 Features a Desert Mesa flower on the top of the pen – an earthy, elegantly stylized circular motif with concentric rows of antiqued beads and twisted rope, accented with a turquoise cabochon in the center. 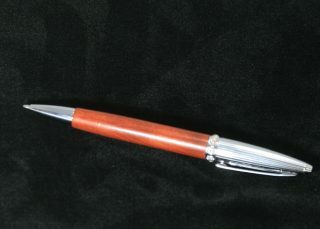 The pen end and nib bands feature geometric shapes inspired by weaving patterns of the Southwestern American Indians. While the stylized arrowhead clip is a symbol denoting protection. 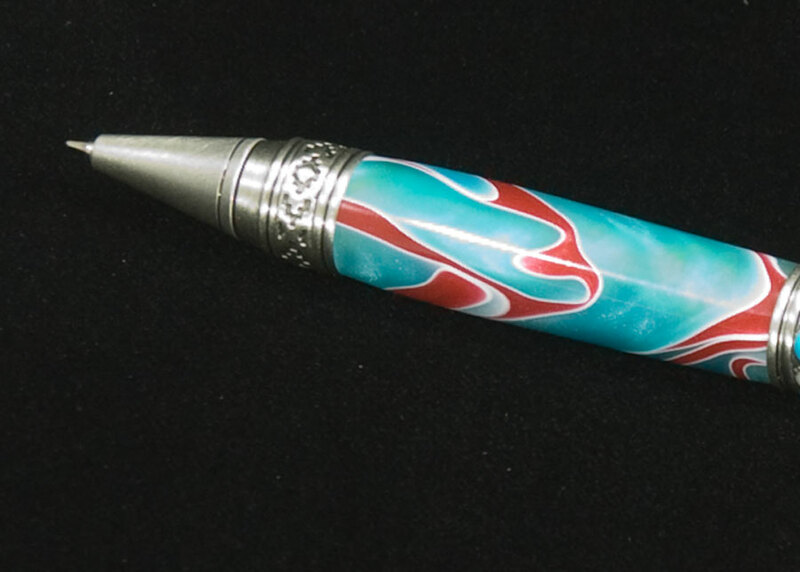 Turquoise, a stone synonymous with the American Southwest and its rich mix of cultures, accentuates the depth and detail of the pen’s design. 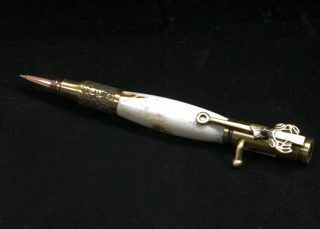 Looks great with deer antler, turquoise colored blanks and more. 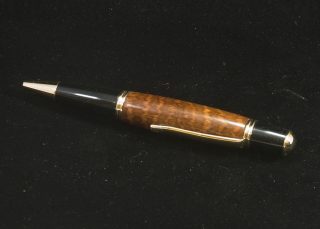 Smooth writing performance with a Parker style refill. Plus, the Antique Pewter finish is formulated to simulate the sophisticated sheen of time-worn pewter. The authentic patina and natural darkening brings out the details of the finish and creates a unique feel with a charm all its own. 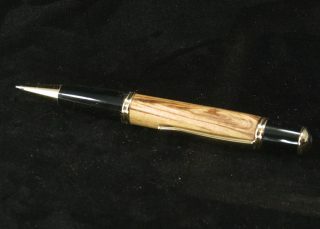 It will add a sense of warmth and history to your to your handmade creation.